While halogen-free wires and cables have been widely used in Europe for some time, they’re now starting to gain traction in the United States. Products containing halogen—such as wires and cables, conduits, routing ducts and more—are receiving attention domestically due to the negative effects they impose on both industrial workers and machinery. And the push to reduce halogen usage is now reflected in UL and other domestic safety standards. In the event of a fire, halogenated wires and cables give off toxic fumes that can cause serious health concerns if inhaled, not to mention they also destroy expensive electronic equipment. As industrial companies become more conscious of these problems, they’ve begun taking a closer look at the benefits of halogen-free cables. 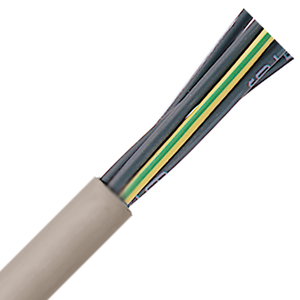 Here’s a guide to some places where it makes sense to use halogen-free cables, and why you might want to consider them over halogenated cables in many applications.